Most Christians do not fully realize the power God has given them with their Spiritual Gifts. God has gifted each believer with the tools necessary for a fruitful and meaningful life! Unfortunately, many Christians are not sufficiently knowledgeable of the role Spiritual Gifs play in their lives.You will learn: ·How God's will and ministry for your life is directly connected to the Spiritual Gifts He has given you. ·What the twenty-two Charisma gifts are. ·Which Spiritual Gifts you have and how to develop them. ·How to discover your Primary Spiritual Gift and how your other gifts and talents make it more effective. 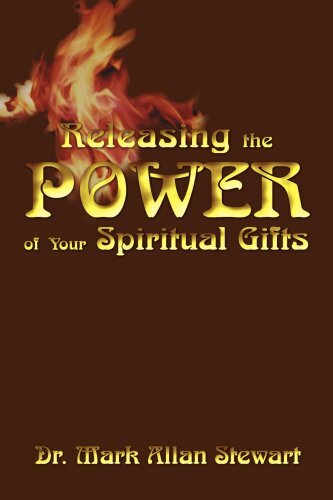 ·How to release God's power with your gifts. ·What the gifts look like when a person is filled with the Holy Spirit and when they are not. ·Discover many ways to use your Spiritual Gifts in ministry. Pastor John MacArthur of Grace Community Church says, "No local congregation will be what it could be, what Jesus prayed that it should be, what the Holy Spirit gifted it and empowered it to be, until it understands spiritual gifts." This book will unleash your members for ministry! Mark holds a degree in Business Administration (Marketing and Management) from American University, Washington D.C.; a Masters in Arts and Biblical Studies and a Masters of Theology both from Dallas Theological Seminary and a Doctorate of Ministry (Church Growth) from Fuller Theological Seminary. Mark and his wife Jan live in Boise, ID. They have four children.